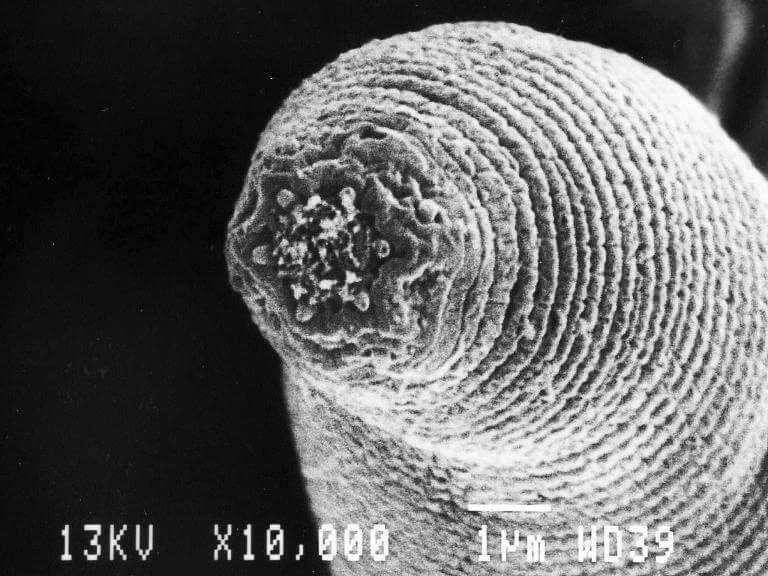 Before the discovery of the signs of the newfound worm at depths of 2.2. miles (3.6 kilometers), nematodes were not known to live beyond dozens of feet (tens of meters) deep. Only microbes were known to occupy those depths—organisms that, it turns out, are the food of the 0.5-millimeter-long worm. Onstott and nematologist Gaetan Borgonie of Belgium’s University of Ghent first discovered H. mephisto in the depths of a South African gold mine. But the team wasn’t sure if the worms had been tracked in by miners or had come out of the rock. To find out, Borgonie spent a year boring deep into mines for veins of water, retrieving samples and filtering them for water-dwelling nematodes. He scoured a total of 8,343 gallons (31,582 liters) until he finally found the worm in several deep-rock samples.